Disclaimer: This is not my arm, it belongs to my cousin, Alicia. She doesn't have a blog, so I decided to make a post about it. I've seen many arm parties in my day but what I love about this particular arm party is that each singular bracelet is reminiscent of a charm bracelet without the dangling charms. 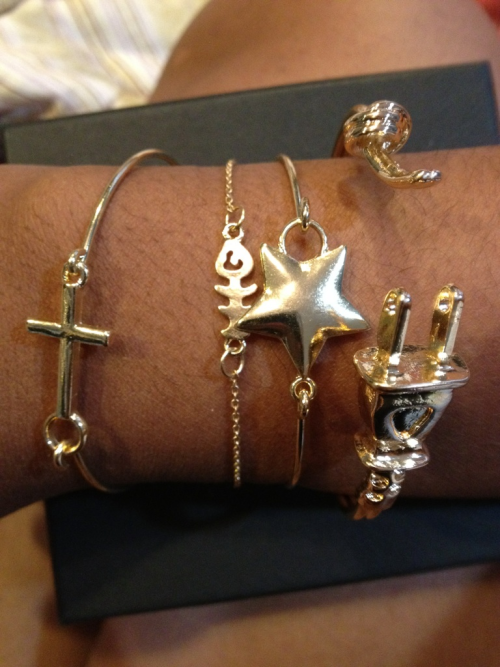 What's your favorite bracelet in this arm party?